William Spratling was born to an Alabama-bred father and a New England mother in 1900 in upstate New York. In 1917, after dealing with several deaths in his family and personal upheaval, Spratling attended Auburn University; he demonstrated an early talent for drawing and lectured as an undergraduate in architecture courses. He attained a position at Auburn as an instructor in architecture without acquiring a degree. Spratling moved to New Orleans in 1921, becoming an associate professor of architecture at Tulane University. A turning point in his life occurred when he visited Mexico for the first time in 1926. He returned for summers over the next several years and, in 1929, moved there and became active in the artistic community. At first, he spent his time promoting the art of Diego Rivera among New York galleries. This led to his participation in the first exhibition of Mexican art held in the United States. The exhibit was funded by the Carnegie Institute and opened at the Metropolitan Museum of Art in New York. In 1931, Dwight Morrow, the US Ambassador to Mexico, suggested that Spratling install a craft center in Taxco, which had been the site of silver mines for centuries. 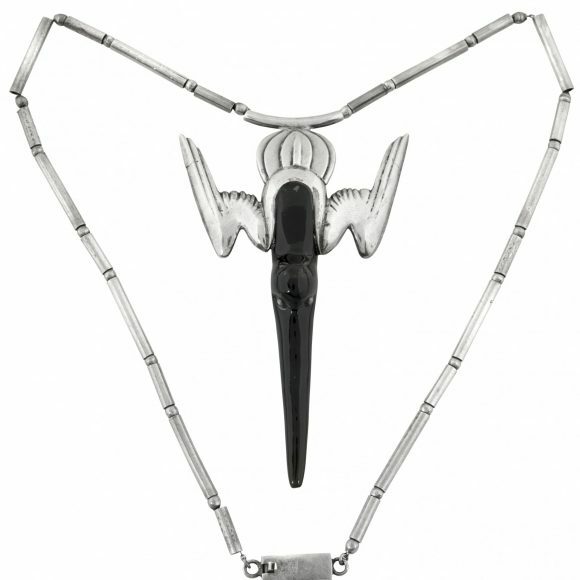 Spratling hired an experienced goldsmith to create silver jewelry of Spratling’s design. 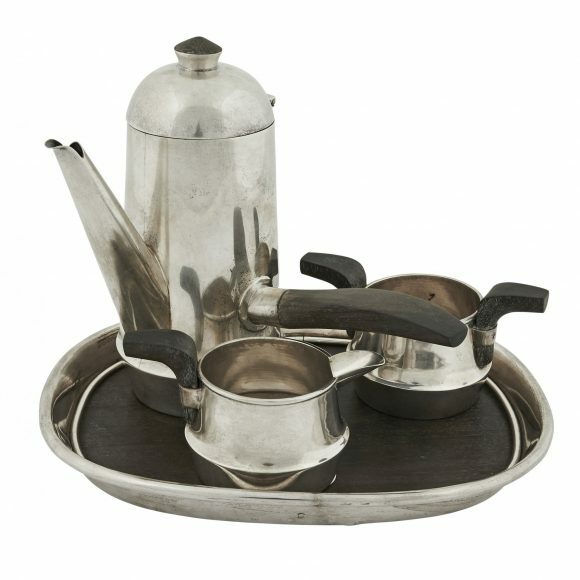 Other artisans joined this shop and produced tin ware, copper items, textiles, and furniture, all designed by Spratling. The shop was so successful that, in 1935, the artists moved to a larger space, which Spratling called “Taller de las Delicias” (Delights Workshop). 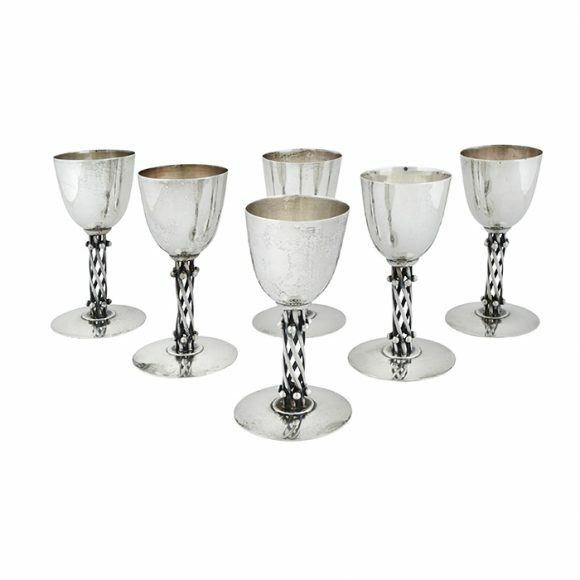 There was overwhelming enthusiasm for Spratling’s designs of jewelry and his hollowware. By 1941, he had 120 employees and was selling silver not only in Mexico, but also in the U.S. to Neiman-Marcus, Bonwit Teller, Saks Fifth Avenue, and others. In 1944, the company, now called Spratling y Artesanos S.A., moved to an even larger space. Approximately 400 workers were involved in the production of Spratling Silver. However, given his poor business acumen, Spratling resigned in 1945 and the company dissolved soon thereafter. 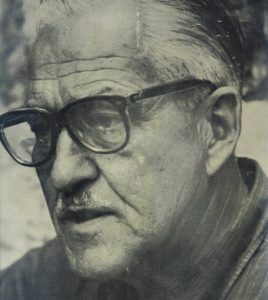 Spratling then moved to a ranch he had purchased in Taxco-el-Viejo and, in 1947, he formed a new silver workshop called William Spratling S.A. He reduced his production significantly from the levels of the early/mid 1940s and his designs became simpler and more refined. Although embittered about his lack of financial success and having to resign from his former company, Spratling’s influence and fame endure. Throughout Mexico, he is still considered “The Father of Mexican Silver.” He died in a car accident on August 7, 1967 just outside Taxco.